Avengers: Infinity War just set the record for the biggest movie opening ever. But even Avengers have haters. And from time to time, we like to shine a white-hot light on the trolls. Here’s a new all Avengers edition of #MeanTweets featuring Tom Hiddleston, Anthony Mackie, Scarlett Johansson, Sebastian Stan, Winston Duke, Elizabeth Olsen, Don Cheadle, Dave Bautista, Benedict Cumberbatch, Tom Holland, Samuel L. Jackson, Paul Rudd, Karen Gillan, Paul Bettany, Chadwick Boseman, Chris Pratt & Chris Evans. 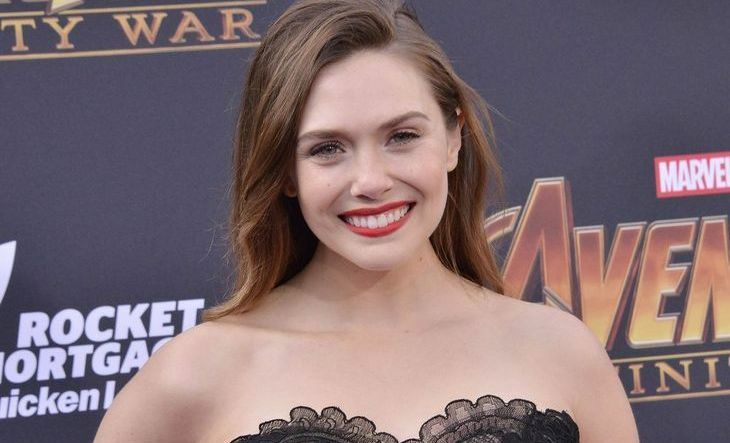 Elizabeth recently attended the Avengers: Infinity War world premiere in Los Angeles, California (April 23). Avengers: Infinity War will be in theaters from April 27! I’ve made a masterpost for some of Elizabeth’s main interview videos for the Avengers: Infinity War press tour. Check back soon for more videos!